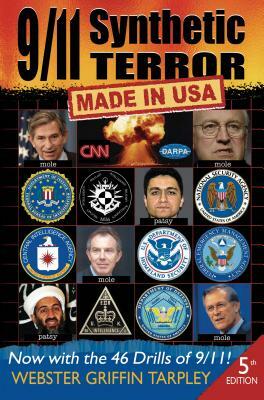 The authoritative work on 9/11 and state-sponsored false-flag terrorism. 9/11 Synthetic Terror is the only book to present a working model for the event -- a network of moles, patsies, paramilitary pros, privatised intelligence assets and corrupt media corporations. We see how this enormous provocation was successfully executed and exploited as war propaganda. This fifth edition reveals a whole new dimension of explosive facts for the first time: the enormous array of drills in which the US defence apparatus rehearsed every aspect of the 9/11 operation. Author Webster Tarpley presents the corpus of 9/11 research -- such as the controlled demolition of the three WTC towers -- from the perspective of a veteran intelligence expert and historian. The exploit is placed in the geopolitical context of oligarchy and imperialism -- in the tradition of precedents such as the Gunpowder Plot, the USS Maine, the Strategy of Tension, and other historically decisive state-sponsored terror subterfuges.